Is the boreal forest on the edge of a climate change tipping point? - Unearthed Is the boreal forest on the edge of a climate change tipping point? 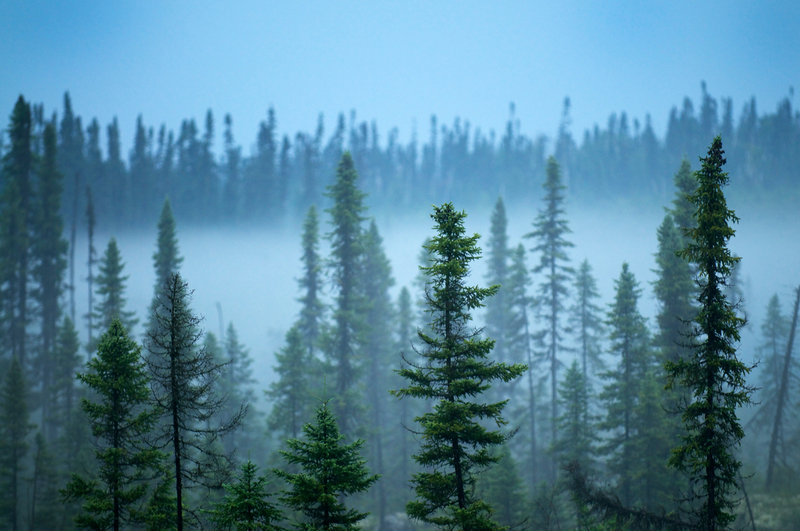 Is the boreal forest on the edge of a climate change tipping point? The boreal forest encircles the Earth around and just below the Arctic Circle like a big carbon-storing hug. It can mostly be found covering large swathes of Russia, Canada and Alaska, and some Scandinavian countries. In fact, the boreal – sometimes called by its Russian name ‘taiga’ or ‘Great Northern Forest’ – is perhaps the biggest terrestrial carbon store in the world. So it’s important to protect in a world where we’re aiming for 1.5 or – at worst – under two degrees celsius of global warming. “Our capacity to limit average global warming to less than 2 degrees is already highly improbable, so every possible mechanism to reduce emissions must be employed as early as possible. Maintaining and recovering our forests is part of that solution,” Professor Corey Bradshaw, a leading researcher into boreal forests based at the University of Adelaide, told Unearthed. It’s not that tropical rainforests aren’t important, but recent research led by Bradshaw published in Global and Planetary Change shows that that there is more carbon held in the boreal forests than previously realised. As the climate changes one of the world’s largest land-based sources of sequestering carbon could reach a ‘tipping point’ to become instead a net carbon source, releasing more CO2 than it stores, because of ‘unprecedented’ environmental changes brought about by a warming world. And it’s not just man-made climate change threatening the forest. Some humans are also the main cause of forest fires in the boreal – in Russia 90% of forest fires are thought to arise from human activity. The Boreal forests aren’t just important for the climate. They are also home to over 20,000 species and of these more than 300 species listed in the IUCN Red List of threatened species; from woodland caribou in North America, and Blakiston’s fish owl in Russia, to Siberian tigers. Woodland caribou at Lake Superior, Slate Islands, Canada. About 95% of carbon in boreal forest is stored in its soil, unlike tropical forests where most is stored in the trees above ground. A third of the band of boreal is underlain with permafrost and the peatlands of the Russian and Canadian boreal forests add up to almost 350 million hectares of peatlands. To avoid catastrophic climate change we really don’t want that to be released. Forest fires are the most important factor in whether the boreal is going to be a carbon store or source, according to a 2009 paper published in Trends in Ecology and Evolution. So it’s not good news that in recent times there have been intense and frequent forest fires in Alaska, Russia and Canada, though not all are linked to the changing climate. Scientists called fires in the boreal in the past few decades ‘unprecedented’ after researching the past 10,000 years – and linked their severity to global warming. Beyond local impacts, soot arising from northern fires contributed to a nearly complete surface melt of the Greenland ice sheet in 2012 – for the first time since the 19th Century. If the Greenland sheet were to disappear completely, it would lead to a global sea level rise of around 6 metres. Insects such as the pine beetle and spruce budworm might look innocuous but they are can kill a patch of forest and therefore they are responsible for a large loss of stored carbon and their spread is affected by the changing temperature. Already there have been mountain pine beetle outbreaks in British Columbia that have been caused by only small temperature increases, and in Russia some parts of the boreal have been munched by the Siberian moth. “The estimated annual carbon release due to the current mountain pine beetle outbreak in western Canada is 50% more than rates attributable to fires during even the most severe fire years,” Professor Bradshaw writes. And the milder the winters, the worse the outlook for pest outbreaks due to higher adult insect survival and more frequent breeding events. Two thirds of the northern forest are managed, mostly for wood production. Industry – and therefore fragmentation – of the forest is increasing. Scientists disagree over whether or not there is much CO2 released from the soil when boreal forests are used for logging and are re-planted. Other industries are operating in the vast swathes of boreal forest are mining, hydroelectric projects and oil exploration and development, and road building. The boreal has already seen a mean temperatures rise of 1.5 degrees Celsius. A 2015 review paper in Science says a 4-degree increase globally by the end of the century could result in temperatures 4 to 11 degrees more in the boreal. One of the co-authors of the paper told CBC changes to the boreal could be “very dramatic and fast”. The boreal forest might have already begun the transition from a being a carbon sink to source, the paper warns. As the boreal belt warms fires and insects will stress the forests even further in a positive carbon feedback loop. There is only so far the forests can scoot northwards to try and maintain ideal temperature ranges – so global warming could lead to droughts, forest thinning or loss, and the massive ‘carbon bomb’ of thawing permafrost that would create a large feedback loop to enhance global warming. “In Russia alone, the release of carbon from the thawing permafrost by the end of the century could potentially be several times larger than that of current tropical deforestation,” the authors write.